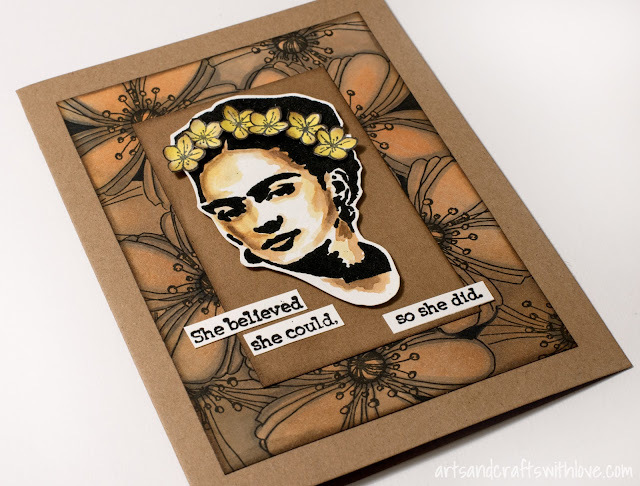 Last Friday was the kick-off for our Craft Stamper February Take It Make It challenge. 'Anything goes', as long as there's stamping somewhere on the project. Hope you play along! 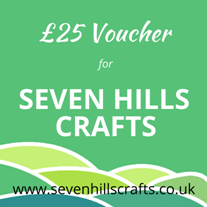 Our generous sponsor this month is Seven Hills Craft, an UK based online only retail store specialising in importing quality craft products from the USA. Their product range is huge, and the web shop is really worth visiting! One lucky winner will get a voucher worth £25 to spend in the web shop. Worth playing for, isn't it! In addition to the lovely Frida Kahlo stamp I used stamps from other manufacturers, too: Background flower stamp is from Stampendous, tiny flowers are from Stampin' Up! and the quote text from Dina Wakley Media/Ranger. 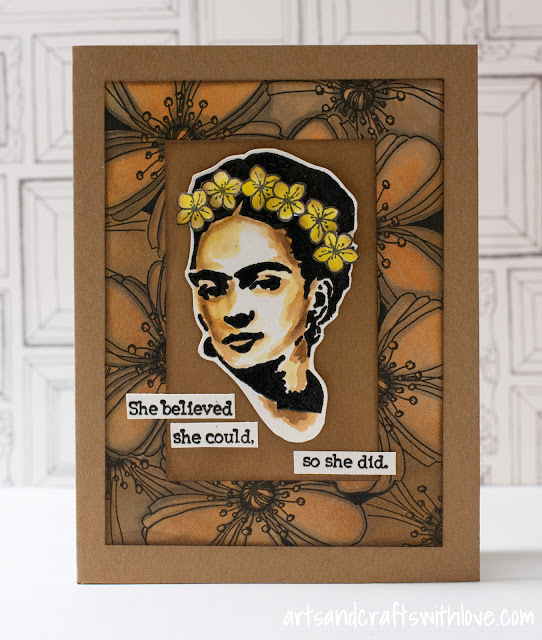 The face image is heat embossed and coloured using a few Distress ink colours and a water brush. 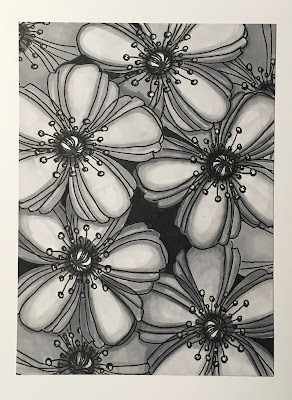 The flower patterned background is created on simple white paper: First, using the masking stamping technique I stamped the same flower repeatedly on the paper, and coloured the images with grey and black markers. 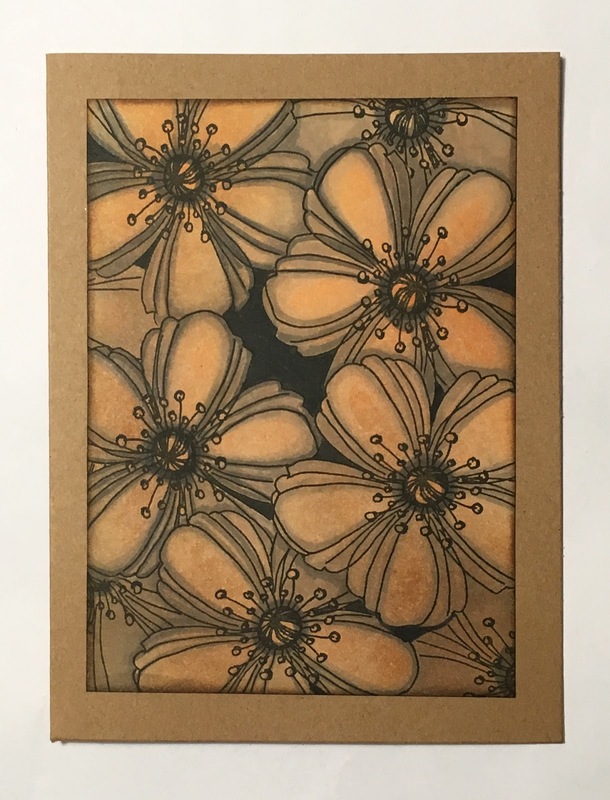 Before attaching the background paper to the craft card base I inked the panel with brown and orange Distress inks. For more February card making inspiration I suggest you hop over to Craft Stamper blog to see all the gorgeous DT projects as well as the long list of linked projects. I'm hoping to see your project soon among the entries, too!